March thru June, 2019 --Scholarly lectures sponsored by the LIU School of Professional Studies that are scheduled March thru June at LIU/C.W. Post. 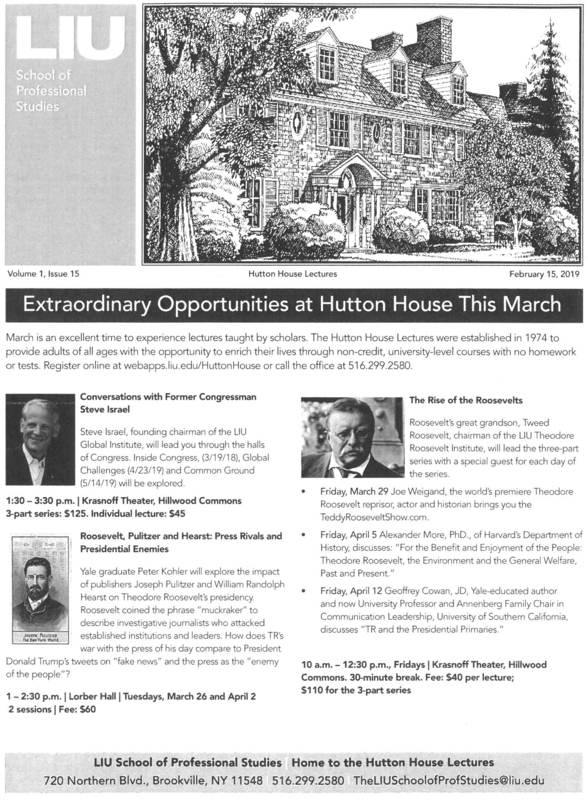 Several lectures relate to Theodore Roosevelt and three are hosted by Tweed Roosevelt, Chair of the TR Institute at LIU, as well as Chief Executive Officer of the TRA.